Should Hornady Improve the 250 Grain FTX Factory Cartridge? 15. In your opinion, what are the weak points of the 250 Grain FTX? Fragmentation without hitting bone. Separation of jacket and core. 4. Barrel length and twist rate. 16in. Not sure of twist. Whatever Bushmaster factory is. 5. Distance to target. (Approximate will be okay if you’re not sure). Ranged at 86 yds. 6. Type of animal and approximate weight. Feel free to post a picture. Whitetail about 140 lbs. 8. Where did bullet impact and what organs and bones were affected? Hit while quartering away. Went through stomach, liver, one lung, chipped scapula on off side shoulder. 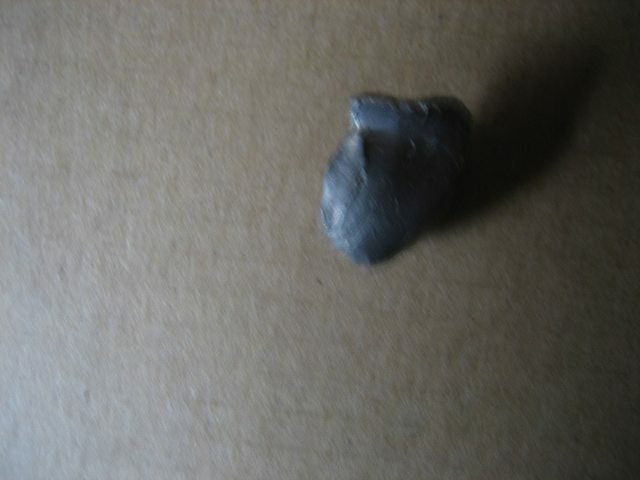 Bullet under skin on off side. 9. Did the bullet pass through? Found under skin on off side. See above. 10. Did the bullet remain in the carcass and did you recover the bullet and fragments? Post picture if possible. See above and picture. Bullet weighs 193 grains. 11. Did you suffer any loss of edible meat? Very little from shoulder. 12. How far did the animal run after being shot? About 20 yards. 13. What kind of blood trail did you have? Not much. Probably because of where it was hit and no exit wound. 14. In your opinion, what are the strong points of the 250 Grain FTX? I think for deer, it's fine. It penetrated about 3 feet of innards and still broke the scapula. For bear I think we need a tougher bullet. 15. In your opinion, what are the weak points of the 250 Grain FTX? 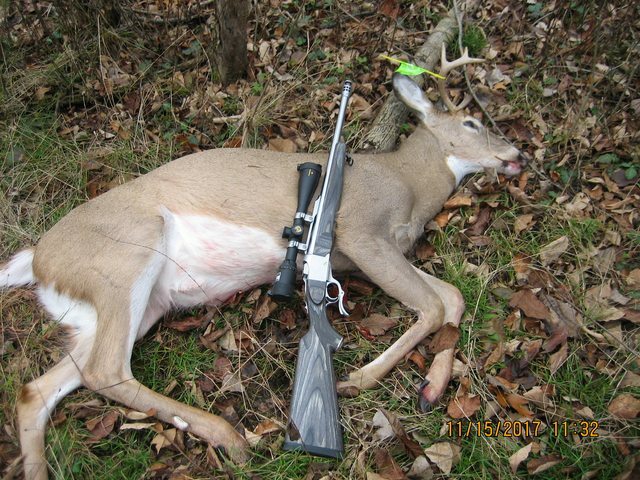 For animals bigger than deer I think a tougher bullet is needed. After seeing a 450 lb. 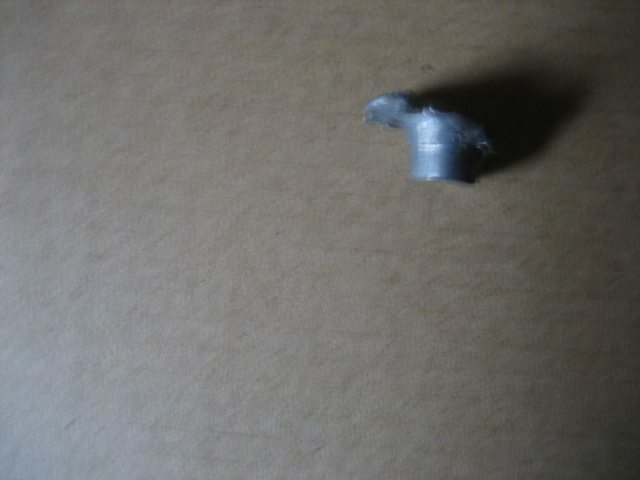 Black bear take 5 hits from a 45/70 with heavy loads, I don't know if the current bullet would penetrate enough after breaking a big shoulder bone. 4. Barrel length and twist rate. 21" 1in 20. 5. Distance to target. (Approximate will be okay if you’re not sure). 75 yd. 13. What kind of blood trail did you have? Average and reasonably to follow in the dark. 15. In your opinion, what are the weak points of the 250 Grain FTX? None so far. 4. Barrel length and twist rate. 21” and standard factory twist. 5. Distance to target. 20 yds. (Approximate will be okay if you’re not sure). 6. Type of animal and approximate weight. Feel free to post a picture. Doe, 100 lbs. 7. Did you recover the animal successfully? Yes. 8. Where did bullet impact and what organs and bones were affected? Lower thorax. Took out the heat. Created a massive hole. Broke the sternum laterally. 9. Did the bullet pass through? Yes!! 10. Did the bullet remain in the carcass and did you recover the bullet and fragments? No and no. 11. Did you suffer any loss of edible meat? No. 12. How far did the animal run after being shot? 20 yds. 13. What kind of blood trail did you have? Massive blood trail. 14. In your opinion, what are the strong points of the 250 Grain FTX? Seems to be devastating at short range. 15. In your opinion, what are the weak points of the 250 Grain FTX. Nose compresses inward instead of flaring out. 10. Did the bullet remain in the carcass and did you recover the bullet and fragments? Post picture if possible. 6. Type of animal and approximate weight. Feel free to post a picture. Wild Boar hog, 140? 11. Did you suffer any loss of edible meat? gave whole hog to relative, he said right shoulder was toast. 14. In your opinion, what are the strong points of the 250 Grain FTX? this is my second kill, they seem to work. 8. Where did bullet impact and what organs and bones were affected? Pocket, Top of heart and both lungs. 9. Did the bullet pass through? Chest cavity but not hide. 13. What kind of blood trail did you have? Surprisingly light! 15. In your opinion, what are the weak points of the 250 Grain FTX? Weight retention and penetration. 6. Type of animal and approximate weight. Feel free to post a picture. Whitetail buck, ~225lbs. 8. Where did bullet impact and what organs and bones were affected? Front shoulder with leg back appeared to be one lung but decay made it difficult. 10. Did the bullet remain in the carcass and did you recover the bullet and fragments? Post picture if possible. Mentioned in q9. 2 large fragments recovered. 13. What kind of blood trail did you have? Big fat zero! 2 other hunters setting with me seen shot and noticeable impact. While deer ran off noticed near side broken leg. The rest of the info gathered 4 days later having a autopsy in field.